Initial reports don't look good with many hospitals and healthcare trust affected. 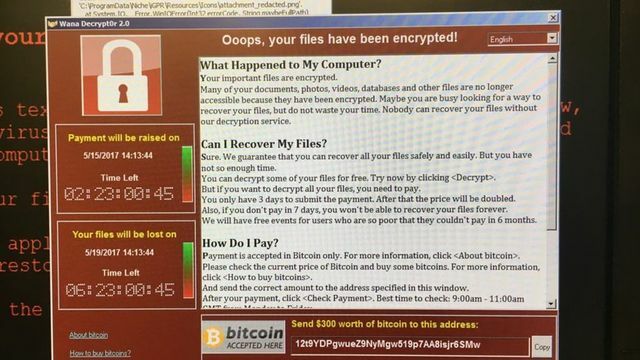 While it's too early to say for sure, the ransomware looks to be "Wannacry" and appears to be targeting not just the NHS in the UK, but some telcos in Spain. Trusts and hospitals in London, Blackburn, Nottingham, Cumbria and Hertfordshire have been affected. Some GP surgeries have had to shut down phone and IT systems while A&Es have told people not to attend unless it's a real emergency. NHS England says it is aware of the issue and is looking into it. Among those affected is the East and North Hertfordshire NHS Trust which says it is experiencing problems with computers and phone systems. It has postponed all non-urgent activity and is asking people not to come to A&E at the Lister Hospital in Stevenage.